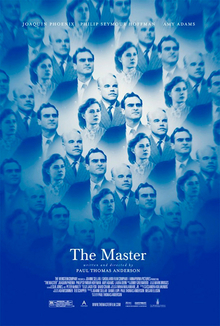 The Master is the latest from writer/director Paul Thomas Anderson, arguably the finest filmmaker working in American cinema. This is simply a wonderfully acted and crafted piece of film. With works like There Will be Blood, Boogie Nights, Magnolia and Punch Drunk Love PTA is a filmmaker who defies traditional convention and makes deeply personal films that are both intimate and grand in scale. This film also marks the return of Jonny Greenwood (Radiohead) as composer. Greenwood composed the score for PTAs 2007 film There Will be Blood and he once again has created a beautifully complex piece of music that is as richly layered as the film it accompanies. Joaquin Phoenix gives a performance that is both unsettling and tragic, he plays Freddie Quell a troubled man searching for identity and meaning, two things offered by Lancaster Dodd. Hoffman plays the title character who is clearly based on L. Ron Hubbard the founder of Scientology but this film is focused on the life of Freddie Quell a man with an unhealthy taste for alcohol. The film starts just as World War II is ending and Quell is on board a US navy ship. A few moments into the announcement of peace Freddie already has his plans made. He goes below deck and begins drinking fuel. During the film, he will also drink paint thinner and some cleaning solution from a bathroom that I couldn't identify. In addition to his alcoholism our protagonist struggles with sexual compulsion. Early in the film we witness him masturbating with a sand sculpture made by his shipmates. The scene shifts from amusing to unnerving in a matter of moments when it becomes clear that Quell is not just drunk and joking around. No, we are dealing with a man who is deeply disturbed. To say this film is ambiguous would be an understatement. Nothing in The Master is spoon fed or spelled out for the viewer. With that in mind this film is still incredibly accessible because of how beautiful it is crafted and how captivating the performances are. PTA allows us to draw our own conclusions about the themes he addresses. This is a smart choice because when you are dealing with spirituality most viewers bring a certain amount personal baggage to the film. I'm sure some people went into this wanting an indictment of Scientology and what they got was a meditation on isolation and addiction. I've heard people complain that this film doesn't have anything to say or is unsure of itself but I would argue that we have been given a rare treat with The Master, a film that has confidence in its viewer to connect the dots and fill in the blanks without a crib-sheet.